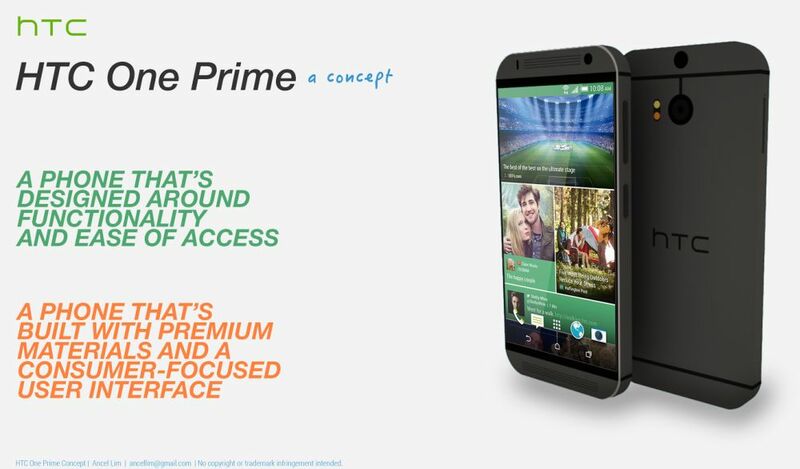 Ancel Lim sent us an interesting HTC concept that he calls HTC One Prime. Such a device is expected to come later this year, with a few updates and today we get a teaser of that model. The general lines seem to fit the predecessors, but let’s see what the device is all about. The designer will be back with more shots, but I can share what I learned from the web about this model. This smartphone is built with premium materials, so it’s all metal and glass, with a touch of plastic. Speculations say that the HTC One Prime specs will include a Snapdragon 805 processor, 3 GB of RAM and a 2K display, probably keeping the same 5 inch diagonal, or maybe increasing it by 0.2 inches. Ancel Lim says that this model is built around functionality and ease of access, plus it’s consumer focused. To me this sounds like a ton of gestures, control options and other UI elements to make the phone easier to use. Have a go at speculations below!